“These words might be more offensive now than they were back then,” ponders playwright/actor Ronnie Marmo in the guise of one of 20th Century America’s most controversial artists in his (mostly) solo performance, I’M NOT A COMEDIAN… I’M Lenny Bruce. He then quotes the infamous opening line of a routine where the counter-culture social critic, who often performed before a racial mix of customers in jazz clubs, would point to members of his audience and call them by ethnic slurs. After listing a large enough collection, he’d then repeat them over and over in rapid succession, mixing up the rhythms and tones of speech in an attempt to pummel any meaning out of them and thus destroy their capability to do harm. “It’s the suppression of the word that gives it the power,” he would say. Nowadays stand-up comics do public battle with those who use social media, petitions and protest rallies to express their objection to the words they use on stage. 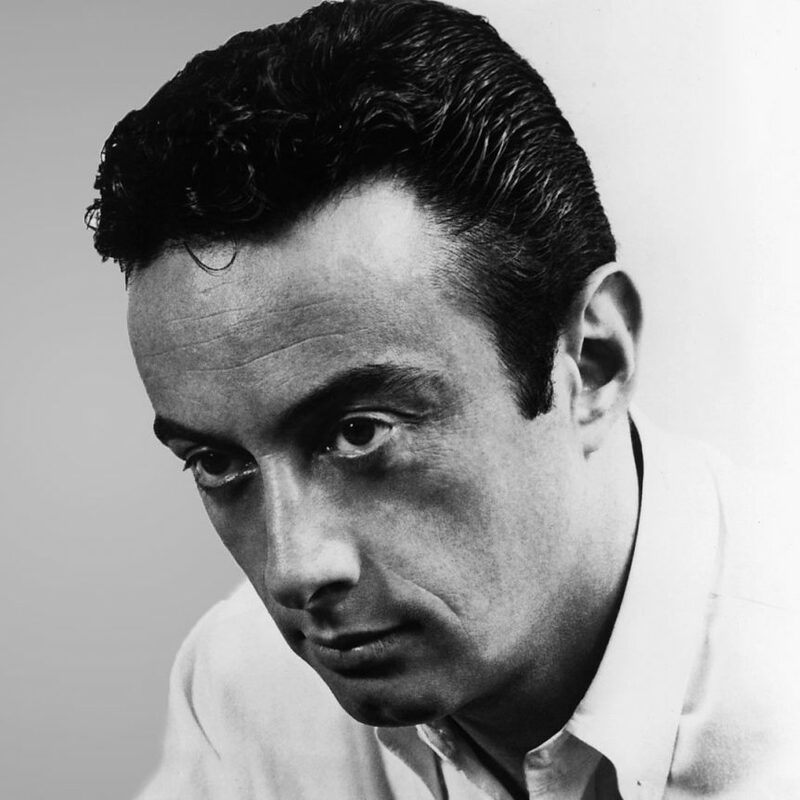 In the 1960s, Lenny Bruce would regularly get arrested on obscenity charges, just for talking into a microphones inside private venues where people have voluntarily arrived to hear him speak. And the physical and mental exhaustion of trying to defend his First Amendment rights before judges who refused to consider context and artistry, particular during a six-month trial after undercover police witnessed him giving an “obscene performance” in Greenwich Village’s Café Au Go Go, contributed greatly to his death in 1966 at age 40. With uniformed police officers in attendance, ready to arrest him if he dared utter that words again, he impishly cavorted on stage using euphemisms, nonsense sounds and a bit of charades to make sure every audience member clearly had that word in mind without his ever having to speak it. “I just wanted to be the hip Jew version of James Dean,” declared the comedy rebel. As explained in character by Marmo, whose text presents a fine overview of the man’s professional highs and lows and illuminates what made him important in the history of American culture, the fellow born as Leonard Alfred Schneider got his start in show business when his mom, nightclub entertainer and soon-to-be legendary talent spotter, Sally Marr, pushed her nervous son into the emcee spot at one of her gigs after the regular host got busted for marijuana possession. Life working clubs leads him to meeting his eventual wife, ecdysiast Honey Harlowe, played by burlesque artist Pearls Daily. Though Ms. Daily only appears briefly, and silently, in the play, she gets the evening off to a sizzling start, parading through the audience and teasing admirer with close-up views of her elegant undulations before lighting up the stage with a classic striptease performance. Marmo closes his play with one of the most heartbreaking visuals of this theatre season. We seen the undignified way Lenny Bruce was photographed for the press as we hear snippets from the acts of Richard Pryor, Lisa Lampanelli and George Carlin, just three of the celebrated comedy artists who benefitted from the trailblazing activism and courage of Lenny Bruce.